Covering all aspects of the design-build delivery system, Design-Build Contracting Handbook, Second Edition presents the pros and cons and compares them with the traditional project delivery method. With this valuable guide, you'll learn how to easily navigate the thicket of licensing considerations, evaluate bonding and insurance implications, and analyze the performance guarantees of the design-build concept. 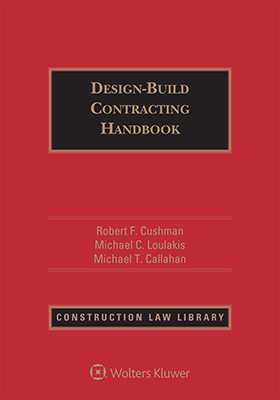 You also get practical suggestions for effective drafting of design-build contracts.